Hampshire Mezzanine Floors provide a complete design build service for re-modelling the interior of your building. Whether you want a new office with ceiling, carpet and air conditioning or a whole building fitted-out with all necessary building works, mechanical and electrical installations. 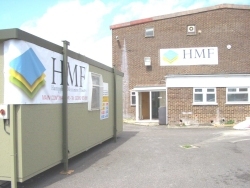 HMF will undertake their designs using AutoCAD systems and any necessary building regulations, planning applications and CDM safety administration can be provided by HMF to save you time and resources. Hampshire Mezzanine Floors have completed a large number of complete turnkey projects for our customers both in the UK and the Channel Islands. Sometimes our customers like us to use their preferred contractors and Hampshire Mezzanine Floors are happy to embrace the use of these nominated sub-contractors where commercially viable and the contractor has the necessary skills and competence for the size of work being carried out. 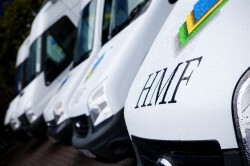 HMF will provide the overall safety plan for the project integrating all the contractors work activity into one main programme, which then is overlapped with the customers own time frame. Hampshire Mezzanine Floors have carried out fast track projects as far afield as Glasgow in Scotland, to Swansea in Wales, as well as projects within the Channel Islands. These major projects range from Food Manufacturing facilities, Car Dealerships, Telecommunication companies, Retail and Logistics/Distribution Operations. 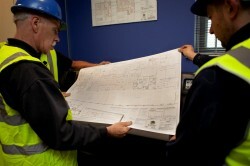 For further information on a Main Contractor project, please contact us. Greg Davies of Smith Bradbeer & Co. commented “HMF have carried out a number of installations successfully for ourselves over the last 10 years. As usual we are happy with the build quality & service level provided. The project was also completed on programme”.